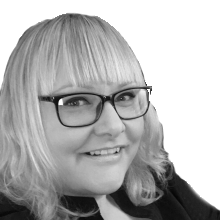 Helen Meek - Agile Coach at RippleRock - Your First Day, Week or Month! Your First Day, Week or Month! Happy New Year everyone and apologies for not blogging in such a long time. I don’t know about you, but I have no idea where 2018 went! It seemed to speed past so quickly.. I have been busy with a relatively new client and was due to be there a couple of days the other week when ‘The Boss’ called up proclaiming ‘man flu’, and wanted me to support him on his Certified ScrumMaster Class. Now, I don’t really buy into ‘man flu’ but he was a pitiful sight to behold, and so went along to do some of the heavy lifting. It’s been a good few months since I last trained Scrum, but it all came flooding back to me It was while there that I got the inspiration for this blog. I met a man who was literally starting as a ScrumMaster 9am the day after the course, and he wanted to know what needed to be done in his first few days and weeks. So I reeled off a few things for him to consider and then wrote him a nice poster with all the details on to take away. I have not heard from him since the class, but I am hoping everything has worked out for him! Meet the team and get to know them and what they want to achieve. Agree regular 121's to keep the conversations flowing. If the team is already up and running, spend some time observing. Organise a team building event. Encourage team members to get involved in the organisation. Has the Team used Scrum or Kanban before? Do they need to have some sort of training? Meet the Product Owner. Get to know them, their history and what they want to achieve. Discuss both of your roles and what you expect from each other. Discuss what to do if you do not agree with each other. Discuss the product with the Product Owner. Understand the Vision, roadmap, commitments, issues and risks. Review the Product Backlog. If it does not exist, we need to help facilitate creating one. 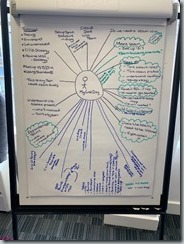 Do we need to complete user story mapping? Set up regular sessions with the PO to keep collaborating. Encourage them to sit with the team. Does the team sit together? If not organise this. Ensure that the team has either a TV or visual board. Create an initial board to start putting work on. This can be refactored as you get the team up and running. Facilitate getting a team Definition of Done. Set up Sprint or Cadence structure in diaries. Plan for more refinement sessions if the team has to create the backlog from scratch. Set up a holiday chart and make visible in the team space. Understand 'other' teams, people or third parties we might have dependencies with. Meet these people and agree ways of working. Create a stakeholder map and plot all of the key people on. Plan how you can meet all of these people. Understand Staff Liquidity. Implement knowledge share as needed. If using Scrum, think about creating calibration stories for referring to in estimation sessions. Set up team metrics (CFD, Burnup, Burndown, Lead time Distribution, Defect ratio, Waste, Work in progress, Net flow, Live status, Bugs, time to deploy, % automation, % fails of automation, build times, ticket age, throughput rates. Consider if we need to create 'End of sprint one page' report for stakeholders. What engineering practices do we need to consider and implement? Understand what is done now and work with the team to define where we want to be. Understand what the release process is, and the frequency of this. If people are involved outside of the team. Become their friend! Understand current state of play for : Tooling, environments, levels of automation, CI/CD strategy, testing strategy, Source control, coding standards, online tool such as VSTS or JIRA. Work with the Product Owner to create a Release Plan and any metrics they need to help manage flow of stories, value and delivery. I am sure there are things missing and so feel free to leave comments for other people to get the benefit of your knowledge as well. I can then add them in for an AWESOME list! I will try and not leave it as long next time.